Green Day’s third album ‘Dookie’ was released in ’94 and took the band to super stardom. With fifteen million copies sold, they were not only everybody’s favorite punk trio, they had also started a new American punk trend. 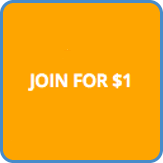 Bands like Rancid and Offspring became part of a new musical movement. After a few more albums and years of touring, Green Day released ‘American Idiot’ in ’04. This album has firmly put Green Day on the map of super famous bands. In May 2009, they released ’21st Century Breakdown’, continuing their political punk crusade. September 2009 saw the unlikely appearance of American Idiot The Musical! Billy later said he’d love to see ‘American Idiot’ as a feature film. “I thought American Idiot had a lot in common with something like Rocky Horror Picture Show”. ‘Time of your life’ was originally entitled ‘Good Riddance (Time Of Your Life)’ but it has also been called ‘Time Of Your Life (Good Riddance)’. Initially, Billie Joe Armstrong wrote the song for the breakthrough album ‘Dookie’ but it was held back three years for the follow-up album ‘Nimrod’. 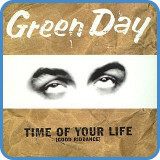 As a single from ‘Nimrod’, ‘Time Of Your Life’ did very well and was the only crossover single with worldwide success from the album. Some might even say ‘Time Of Your Life’ kept Green Day in the limelight between ‘Dookie’ and ‘American Idiot’. According to bassist Mike Dirnt, ‘Time Of Your Life’ was, in comparison to the rest of the material on Nimrod, “The most punk we could go”. This has to be credited as sensible punk philosophy. Billie Joe Armstrong has always had a good pop sensibility that Green Day have managed to pair with their straightforward punk style. Not afraid of commercial hit writing, Green Day’s strength has always been their power punk super hits. Green Day’s acoustic punk-pop classic ‘Time Of Your Life’ is played using a continuous picking pattern. 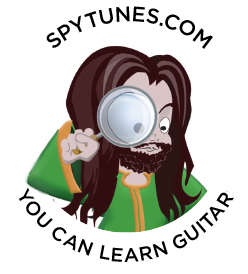 This will not be the easiest of songs to learn, in the guitar course we play quite a few songs and exercises before we get our teeth into this one. 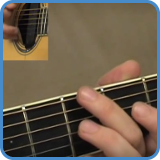 Go to video lessons: Time Of Your Life chords. For complete lyrics, go to Time Of Your Life lyrics.